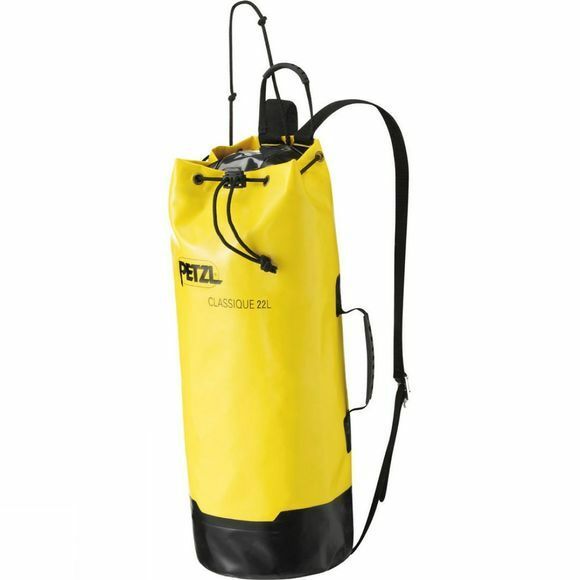 The Classique Pack 22L from Petzl has a 22 liter volume. It is ideal, for example, for transporting waterproof containers and still leaves space available for carrying some extra equipment. It is made of TPU (PVC-free) material, and its welded construction provides greater strength. The two molded handles ensure comfortable carriage.